If I had to choose my all-time favorite, top-three natural lipstick lines, Kosas would make the list. This chic, creamy lipstick collection is home to a few of my favorite shades of red and absolutely slays the packaging game with its boxy black and white lipstick bullets. Sheena Yaitanes, the woman behind the brand, is exactly who’d you expect to be the brains powering this functional yet beautiful collection. A painter with a background in organic chem, Sheena found a way to offer lipsticks with runway-ready colors, fashionable packaging and comfortable all-day wear. While some call her line “for minimalists” or “simple and well-edited,” I see nothing minimal or simple about it at all. The colors are bold, long-wearing and absolutely striking. Perhaps, I suppose, when you have something so good in a little tube, it can be minimal. 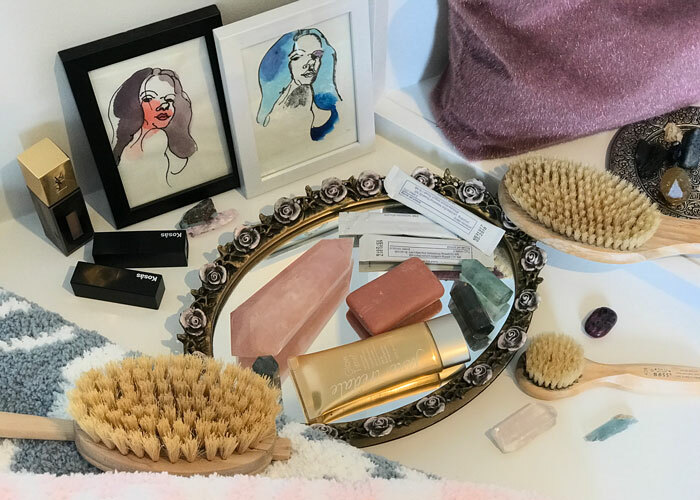 Below, Sheena shares some of her favorite health and beauty picks. As usual, I’ve starred the items I also use and love.